In two months, three presidents of political parties in Cambodia have been arrested and detained. May Titthara speaks to US-based academic Ear Sophal. KT: Could you please give an overview of the current situation in Cambodia politics? Mr Sophal: I think we’re back to square one or close to it. Twenty-five years after UNTAC and it looks like game over. UNTAC lost. The last vestige of western political liberalism has been extinguished from Cambodia. Rest in peace, democracy in Cambodia. It was a nice one-generation ride. KT: What do you think about the arrest of Kem Sokha? Mr Sophal: It’s terrible. I guess it means the authorities are going all the way with respect to destroying Cambodian democracy. For them, 25 years is enough. One generation. The end. After 2013 and 2017, it became clear that no matter what was done to the opposition, it only got stronger by gaining votes, so the answer became let’s just decapitate the opposition. We’ve exiled its former leader, now we’ll jail its current leader on some “smoking gun” treason charge. Well, it’s not clear his supporters will consider that to be credible stuff. They’ve known that tricks like this have been used since 1995. Back then it was a voice recording about an attempt on someone with an antique rifle. KT: As you know, the accusation goes back a long time and has just been revived. What do you think is behind the Kem Sokha arrest? Mr Sophal: It’s like old wine in a new bottle. You can always come up with some crazy reason. I remember back in 1995, it was Prince Sirivudh and an antique rifle and alleged murder plot that was audio recorded. It’s always the same tricks. KT: Why has Mr Sokha been arrested at this time? Mr Sophal: Because someone needs to show Cambodia who is boss. It’s time to crush the opposition in that person’s view. In Cambodia, might makes right. KT: Do you think Mr Sokha’s arrest is an application of the law or a political trick? And why? Mr Sophal: It’s not the rule of law. More precisely it’s the rule of man. KT: If he is found guilty, what is the future of the CNRP? Mr Sophal: Bleak. One leader was exiled and had to resign. The other was arrested and will no doubt soon be convicted of treason in a show trial. The CNRP will remain alive, like Funcinpec remained alive after July 1997. When your leader is exiled or arrested, how can you operate? KT: What does such an arrest mean for the ruling party? Mr Sophal: What it means is getting rid of the ruling party’s biggest domestic enemy. The charismatic leader of the CNRP has been put away under lock and key. Hooray, the ruling party can sleep at night. Or can it? Won’t this infuriate his supporters? They’ve now made a political prisoner out of him. Will Kem Sokha be Cambodia’s Nelson Mandela? If anything happens to him, he’ll be the martyr and the Benigno “Ninoy” Aquino of Cambodia. KT: Is it fair enough for opposition parties who have no power to take revenge? Mr Sophal: Not sure what kind of revenge they can enact. It’s not as if they have guns. They come to a fight bringing loudspeakers when the other side has guns. Might makes right in Cambodia. In love and politics all is fair. The only way to ensure victory for the ruling party is to eliminate the CNRP completely before the July 2018 election. The opposition party, even hollowed out, might be able to get votes, and that would be a huge embarrassment if they somehow won despite being decapitated. KT: How will this affect civil society sentiment? fact that Transparency International Cambodia has too. Is Khmer Times too free-thinking? Time to go to a re-education camp. KT: Do you think the upcoming election will be free and fair? Mr Sophal: No, it will not be free and fair. They’ve never been except for 1993. They are already the un-freest and un-fairest, if such words even exist, of all. You cannot have a skating competition where your boyfriend hires a goon to go and club the ankle of your opponent, as happened in 1994 to figure skater Nancy Kerrigan. It’s just not right, not fair, and not a free competition. KT: In what way can we rescue such a bad situation in politics right now? Mr Sophal: Release Kem Sokha, permit the return of Sam Rainsy to politics without conditions, withdraw the $6 million bogus tax bill to the Cambodia Daily (I mean, why not $60 million or $600 million or for that matter $6 billion?). Who doesn’t know the Daily has run at a loss for years and years and its foreign reporters get paid $1,000 a month since the 1990s. This is less than a high official spends on cognac and ladies of the night at an average dinner these days. Stop harassing NDI, RFA, VOA, VOD, and all the radio stations broadcasting them. Expelling the messenger does not solve the problems people face. The problems are still there. They don’t go away because no one is reporting on them. They will still be there tomorrow, next week, next month, and next year, when the election takes place, and even after the elections have come and gone. These are big problems that will take everyone’s imagination and ingenuity to solve, including the opposition’s. KT: Will the ruling party follow the example of the Thai junta if the political situation gets worse? Mr Sophal: Who knows? The Bangkok junta does its thing. Phnom Penh does its thing. They learn from each other. Democracy is not the problem. It’s the solution. KT: How do you evaluate democracy in Cambodia now? Mr Sophal: Democracy is dead in Cambodia if things go on like this. Long live Cambodian democracy. KT: It seems the ruling party has become more and more concerned about the CNRP as the national election approaches. Why is that? Mr Sophal: They are obviously concerned that despite doing everything they could to neutralise the CNRP from 2013 to 2017, things only got worse for the ruling party. It’s like Newton’s third law of motion: For every action, there is an equal and opposite reaction. And so as civil society is destroyed, it will fight back. KT: The leaked document accused the US of being behind a CNRP plan to topple the government, what can you say about that? 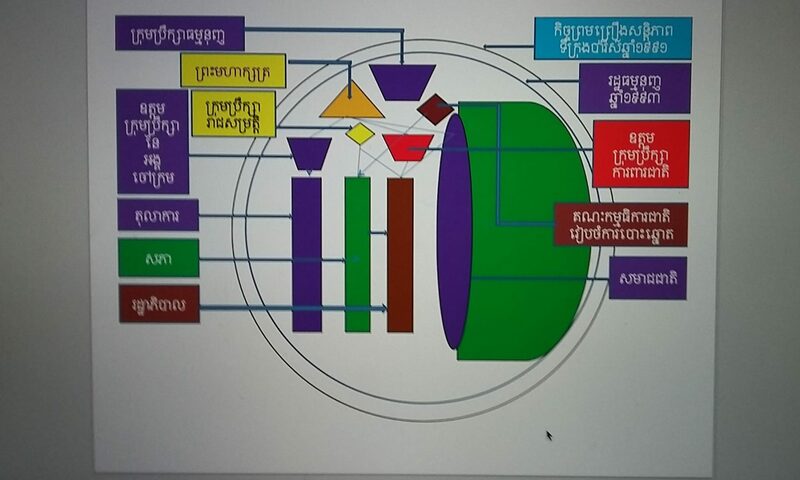 Mr Sophal: To base this on some anonymous Facebook by “Kon Khmer” or whoever else is totally insane. It’s clearly the style of fake news operation the Russians have perfected; but it’s an old communist style of operations called kompromat. Under the Khmer Rouge, everyone was a spy on everyone, the better to compromise them and send them to their deaths. Sick stuff. How is it some lady in Poipet can be hauled into court for commenting and yet all these anonymous folks out there can do whatever they want and the authorities just believe whatever? Could it be that it is just the right hand and the left hand of the same person guiding a false flag operation? KT: What’s your view on the leaked document recently attacking NGOs funded by the US? Mr Sophal: The NDI has done great work in Cambodia for years promoting democracy and not just with the opposition but with the ruling party. The ruling party just conveniently forgot all about it. The truth is, anyone can be labelled the enemy these days, and you can create a virtual stoning that leads to their expulsion from Cambodia. This is not the rule of law, it’s using the colour of law to do whatever you want. KT: What do you think about the ruling party trying to put pressure on the opposition party, NGOs and the media? Mr Sophal: I think It’s terrible. Everyone is trying to help Cambodia, make it a better, more democratic country that respects human rights. Instead, they’re being kicked out. We may have disagreements on how to get there, but we could always agree to disagree, until now. There is something fundamentally wrong when we can’t do this any more. 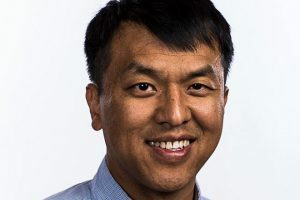 Ear Sophal is author of “Aid Dependence in Cambodia: How Foreign Assistance Undermines Democracy” and an associate professor of diplomacy and world affairs at Occidental College in Los Angeles. Next PostNext Should Western countries impose sanctions on Cambodia?